We have stayed on the Costa Del Sol 3 or 4 times each year for some 15 years but this trip was only the second holiday in Estepona. Apt 305 is a hidden gem located at the end of the great 3km promenade that runs all along the excellent Blue Flag beach. 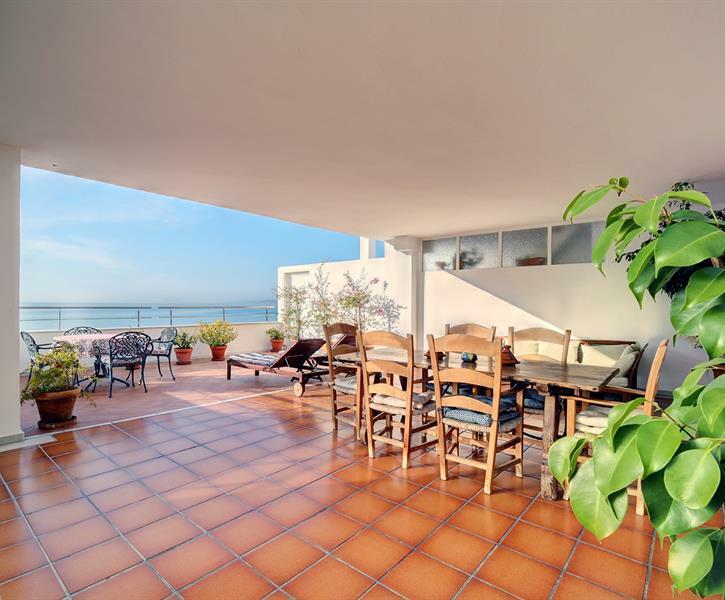 One can be on the beach in a few seconds or remain on the large attractive terrace (covered area or uncovered area) that directly overlooks the ocean. As Tom pointed out, the exterior of the building is being repaired and repainted but the works did not impact on our stay in the apartment. The apartment was as advertised by Tom and Mieke and therefore it fully lived up to our expectations. Also, Tom and Mieke could not have been more helpful and were most keen to ensure that we enjoyed our stay in their excellent apartment. We have stayed in more expensive and less expensive apartments and accordingly we are able to confirm that 305 offers good value for money. We hope and expect to stay there again in the future but we know that we shall have to book early because of 305's popularity.